Saag chicken is a classic non-vegetarian Indian dish that is made with palak or spinach leaves and chicken. An outrageously yummy dish, saag chicken is full of nutrients and loaded with flavour! 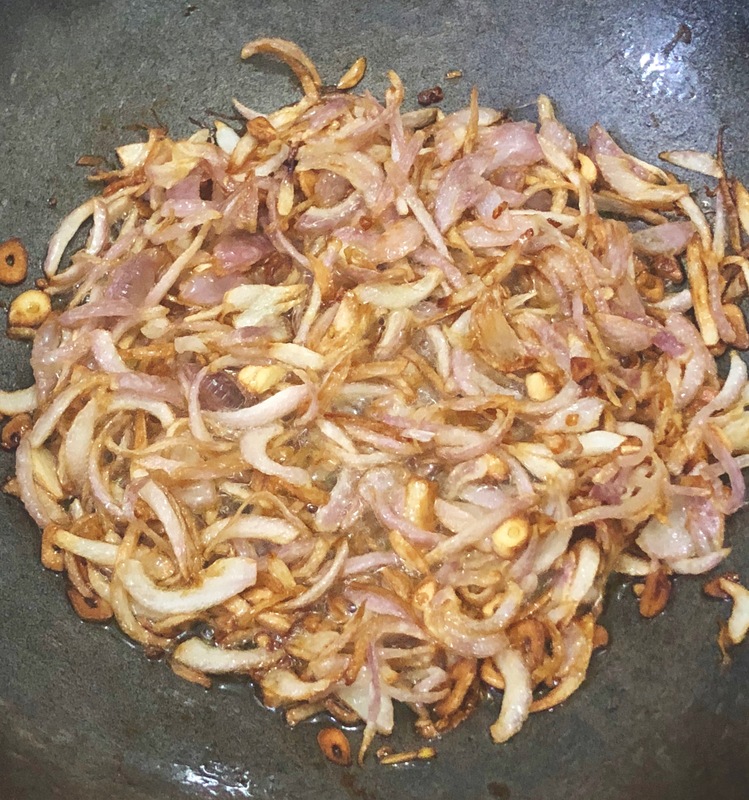 Let’s take a look at the recipe now that I’ve (hopefully) tempted you enough! Wash the spinach leaves (palak) thoroughly. Boil the palak and keep aside to cool. Once cool, blend the palak till it becomes a thick paste. Keep the palak water aside for adding later in the gravy. Next, heat the oil in a pan. Add the butter or ghee (if needed). 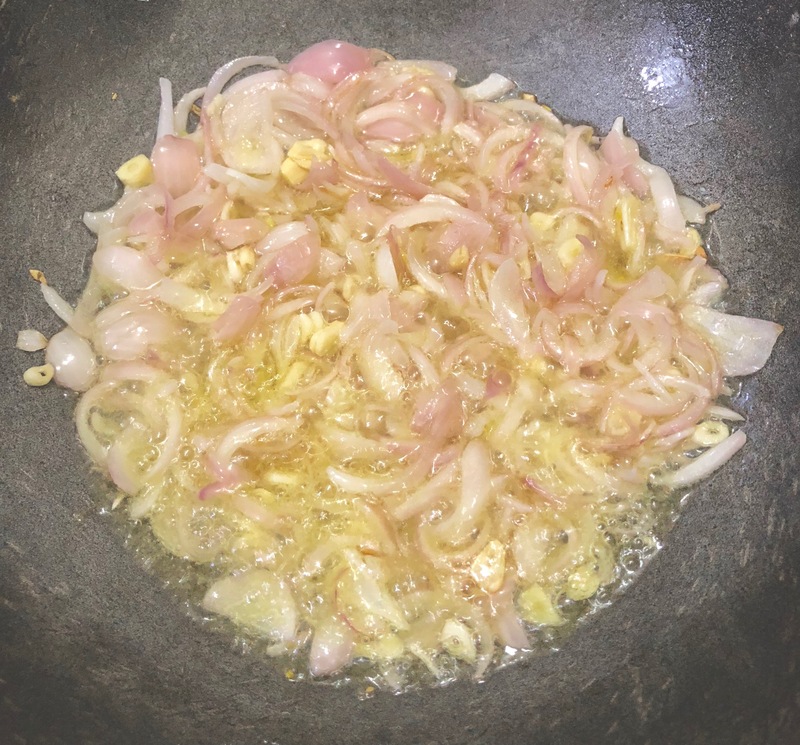 Add the thinly sliced onions and garlic and saute until golden brown. 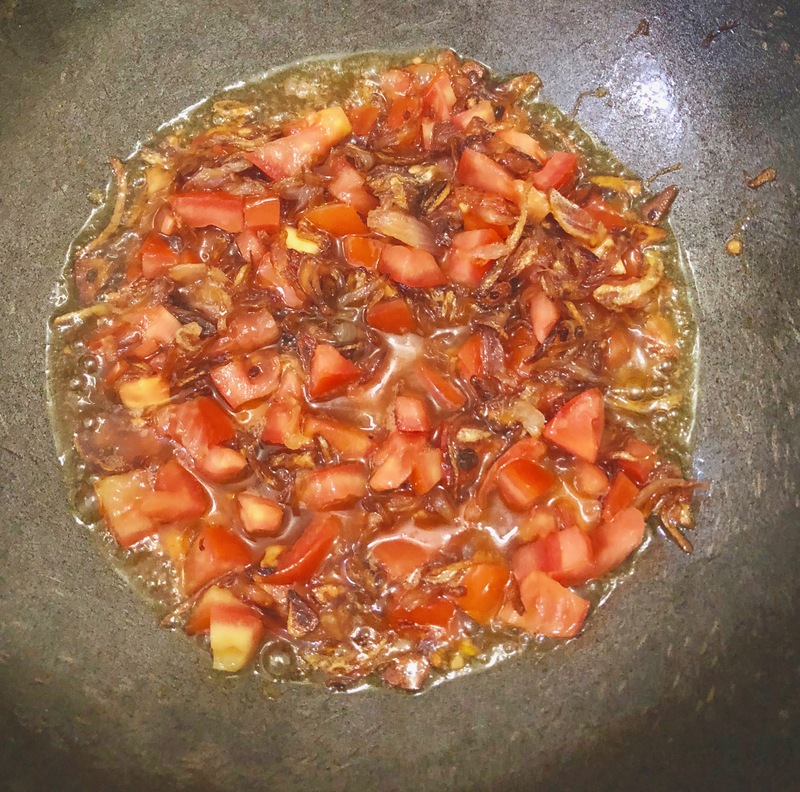 Next, add the finely chopped tomatoes and mix everything well. Turn the stove on low-medium heat and cover the pan with a lid. Cook for about 3-5 minutes until you can see the oil separate from the masala. 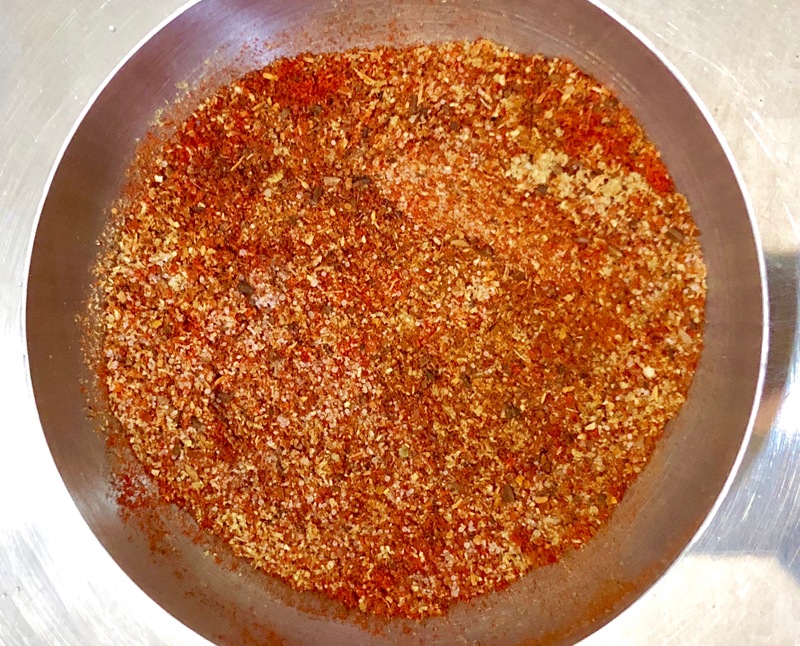 Now add the dry spices – Red Chilli Powder (Lal Mirch), Coriander Powder (Dhaniya Powder), Garam Masala, Cumin Powder (Jeera Powder) and Salt. Mix well. Add the chicken pieces and mix well to ensure all the pieces are coated nicely with the masalas. Cover the pan with a lid and cook on medium heat for about 20 minutes. Keep stirring occasionally. 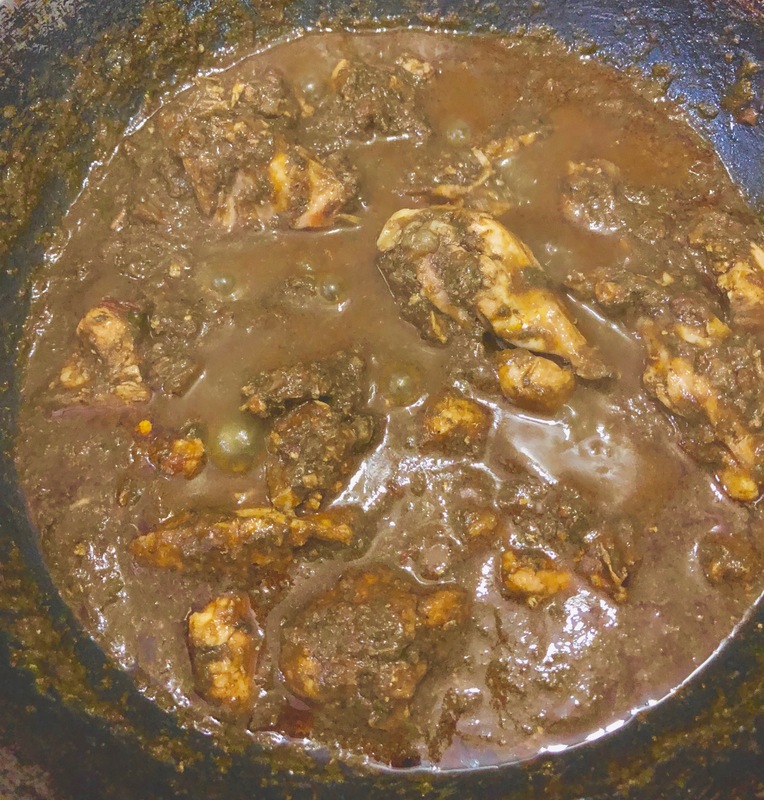 Once you feel the chicken is almost cooked, add the spinach/palak puree. If you wish to thin the gravy a little, add some of the spinach/palak water you had kept aside earlier. Mix well and cook on low heat for another 10 minutes. 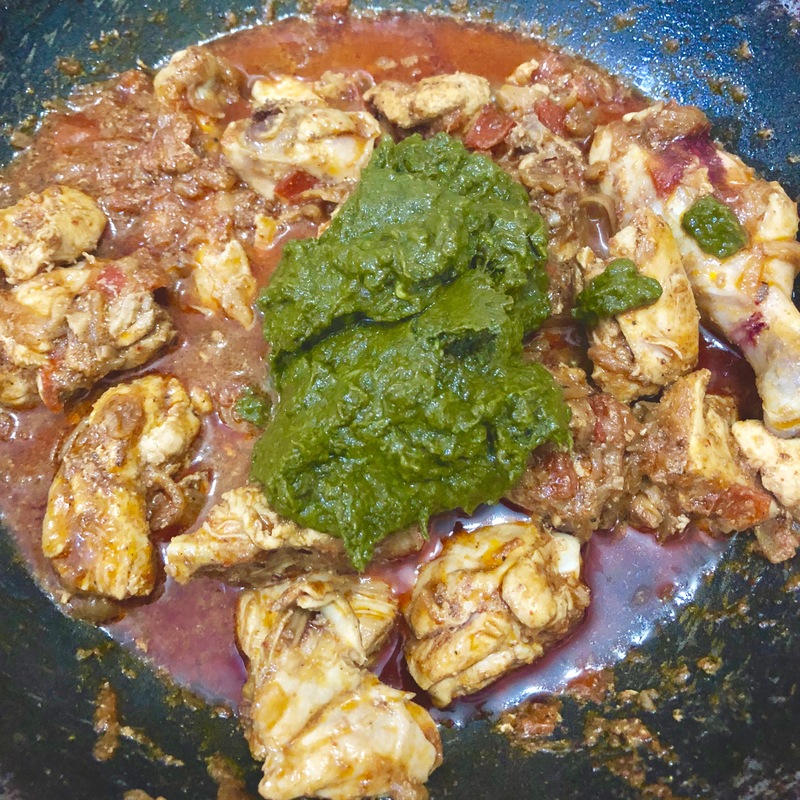 Your Saag chicken is now ready! You can also pour cream on top while serving.